A show that proved very very popular on broadcast, and afterwards. 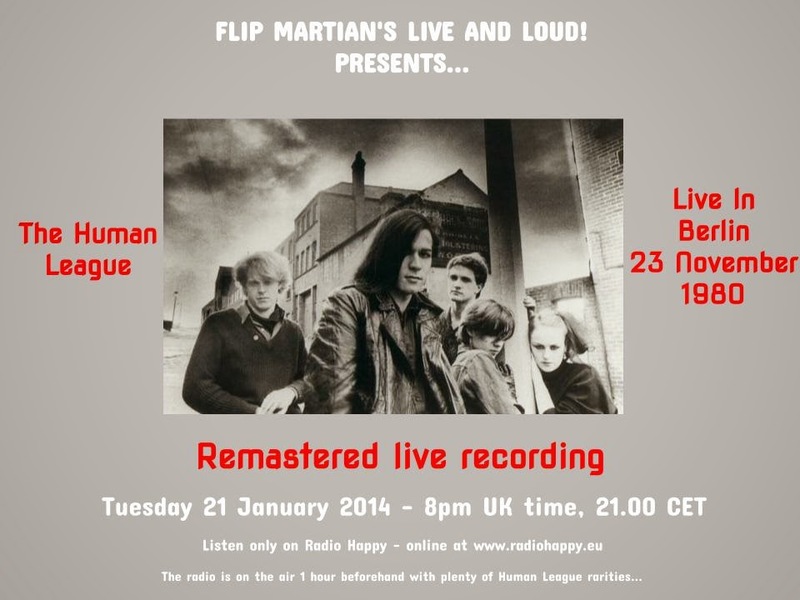 There are very few quality live recordings of The Human League and almost nothing from their early days. This one in particular is one of those where the historical value of the gig makes it worth presenting, even if the sound quality is less than perfect. This took a lot of tweaking, to say the least - but its popularity I guess means that people enjoyed it! I think its the best you'll hear them from this time. Please note that unfortunately the last encore track, Empire State Human, wasn't present in the files I received and is therefore missing from this set.